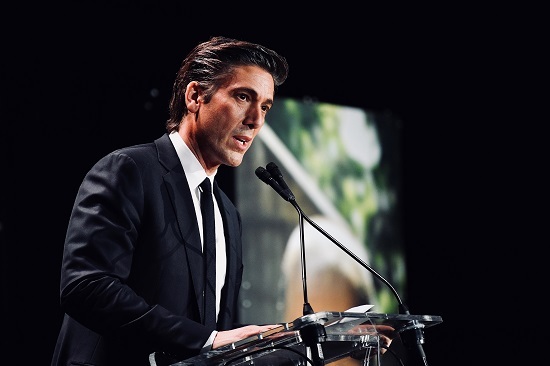 ABC World News Tonight anchor David Muir has been racking up honors lately for his accomplishments in broadcasting. On Tuesday, he was honored by Save the Children for his extensive reporting abroad, in particular his reporting on the famine in Somaliland. This is a humbling moment. And I want to begin by thanking Save the Children. I want to thank the producers who have been with me along the way. Christine Romo. Nick Capote. Bruno Roeber and so many others whose work I celebrate. I thank Kelly – a true humanitarian in her own right. Her quiet deeds – her quiet gifts – her relationship with a sweet young woman from Somaliland – inspires me to this day. We are at a crucial moment. There are so many children in our own country – and around the world – who need us. There have been so many stories. But I remember – this trip to Somaliland because when we decided we would go – we asked ourselves – in this heavy time, a polarized time in America, will this simply be too much too much for the viewers. But I always say never underestimate the generosity of the audience. They care about our children. Whether here at home. Or across the globe. Within minutes after the news that night, they were reaching out. And that’s the power, the responsibility we all have. To give these children – a voice, when they otherwise would not have one. There is not a day that goes by that I take this job, this privilege, this platform for granted. We are in a heavy time, but we have much more in common across this country – and across the globe – than many give us credit for. Whether it’s a microphone, whether it’s social media, whether it’s the dollar or two to buy plumpy nut – that little package filled with nutrients I’ve so often shown on the news — to help bring a child back. I carry the photos of the children I’ve met along the way — from the Syrian border and from all over the world on my phone. I treasure them. I treasure their dreams. And this award tonight is not for me – it is for them. 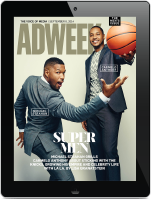 For their bravery in sharing their stories. For their strength. And their future. And we in this room here tonight, have the power to help them have one.